This series is world-renowned as the leading compilation of current reviews of this vast field. 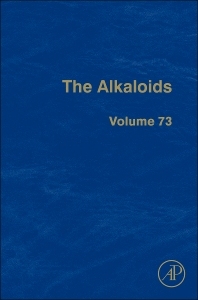 Internationally acclaimed for more than 40 years, The Alkaloids, founded by the late Professor R.H.F. Manske, continues to provide outstanding coverage of this rapidly expanding field. Each volume provides, through its distinguished authors, up-to-date and detailed coverage of particular classes or sources of alkaloids.